Any self-respected JRPG has always an iconic city, a place that will stay forever in the player’s memory for years to come. There are so many examples of this kind of places in the industry. A fact that makes it more complex to come up with new ideas. Despite all this, at Abrego’s it has been clear to us that the main city of our game had to be special. 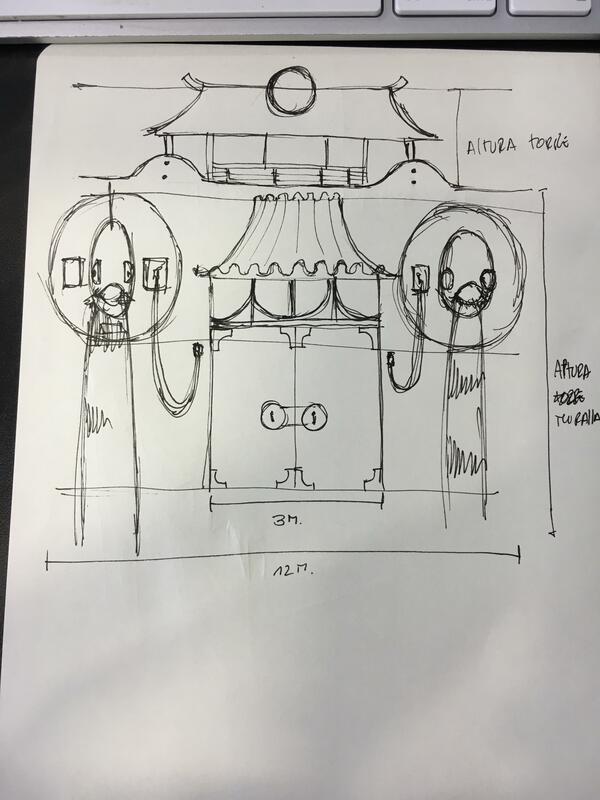 Inspired by ancient greek and japanese culture, we aimed to create a place that would not only serve as a place to pass through but that could be as meaningful as the protagonists, a nexus between the story and the characters. From this desire, Shinn is born, one of the most important city in Feros. The cruel war between the North and South have made Shinn into a fundamental emplacement for each opposing forces. Shinn is a city surrounded by everlasting flows of clear water, and the draught that is hitting the south of Feros makes its control essential for the survival of both sides, so, ruling Shinn is one of the most powerful weapons to win the battle between North and South.This conflict has also been fundamental in the conception of Shinn. Before the war, the city didn’t have a wall around it and it was really only a small village surrounding a temple, but after the conflict began this circumstances changed, Shinn became then a bastion against the attacks of the enemy. Life in Shinn had began around the temple devoted to the Synchrony, the discipline used by the northerners to synchronize themselve with their allies and enemies, to control, improve or weaken their minds and bodies. The lasting battles made them build their homes, businesses and other places, with easy to repair materials like wood, but placing them on strong and solid rocks. The city layout is inspired by The Acropolis of Athens, but with clear reminiscences of traditional japanese villages. If we walk around Shinn, we’ll see all those characteristics of the old oriental cities, livened up by a soundtrack that will take us to those magic places, where the wind embraces honor and dreams. The final creation of Shinn in the video game has been as tough as fulfilling. The amount of details contained in the city, is only a little proof of the care we have put in its development. Shinn is not just an accidental location or a setting to place the story, it is where players will want to stop and watch the surroundings, interact with its citizens, improve their equipment and feel every little piece of story like a gong hitting their heart. As Leonardo Da Vinci said “water is the driving force of all nature”, in Noahmund’s world, Shinn is the power that will put in motion the charm from each corner of Feros.